Get them writing! The ‘if objects could speak’ technique. There are many schools of thought on how best to engage children with writing and, in my opinion, they all have something valuable to offer but I don’t promote or follow one approach exclusively. I’m more of an educational magpie, picking what works for me from the broad tapestry that is pedagogy. One of my favoured, context-free techniques is called ‘if objects could speak’. 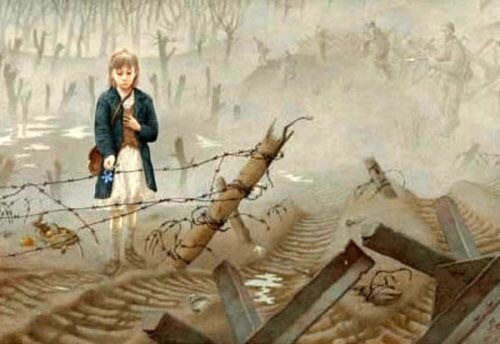 The approach essentially asks the children to look at an image from a story, movie or painting and consider that thoughts and opinions that object might have, given the circumstances it finds itself in and the events it may have witnessed. I see the war ravaged fields of a once beautiful land, as my nostrils are filled with the suffocating stench of gunpowder and death. My ears are filled with the confused bellowing of bewildered soldiers, stumbling through the mud like zombies. There are obviously further potential learning opportunities that extend from this activity, such as different children taking the views of different objects within the same image or story….why might their opinions differ? Which opinion is correct? Is there only one correct view of the events? 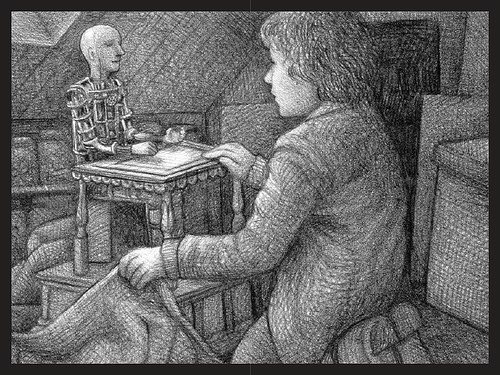 The mysterious automaton that features heavily in the story would be an obvious focus for ‘if objects could speak’, however there are numerous other opportunities such as the opinions of the train station clock, the spare parts in the workshop, the tool kit used by the watchmaker etc. This is a great technique to use as part of an extended unit of work on narrative writing or simply as a way of generating relevant and engaging ideas for more discrete sentence structure tasks. Whatever you choose to do with it, you are guaranteed to have fun when you let the objects do the talking….imagine what your classroom clock might say or the staff room kettle! ?